I’m surrounded by teenage girls. Constantly. With 2 teenage daughters (KIH), and our open-home mentality, we somehow always have a gaggle of girls raiding the fridge and consuming nearly everything in our pantry. What’s incredibly fascinating is that for all the eating (it’s like locusts I tell you), these amazingly awesome young ladies are obsessed with how they look, how much they weigh, and how thin (or not thin) they (think they) are. For me, it’s a bit of a minefield. After numerous stressful life events (read: life! ), and sitting on my tush for basically 2 months after the appendix catastrophe, I’m #sheddingforthewedding. Seriously though, I need to lose a few (read: a lot of) pounds to get healthier. Note: the word “fat” is not allowed in our home, but the word “healthy” definitely is. 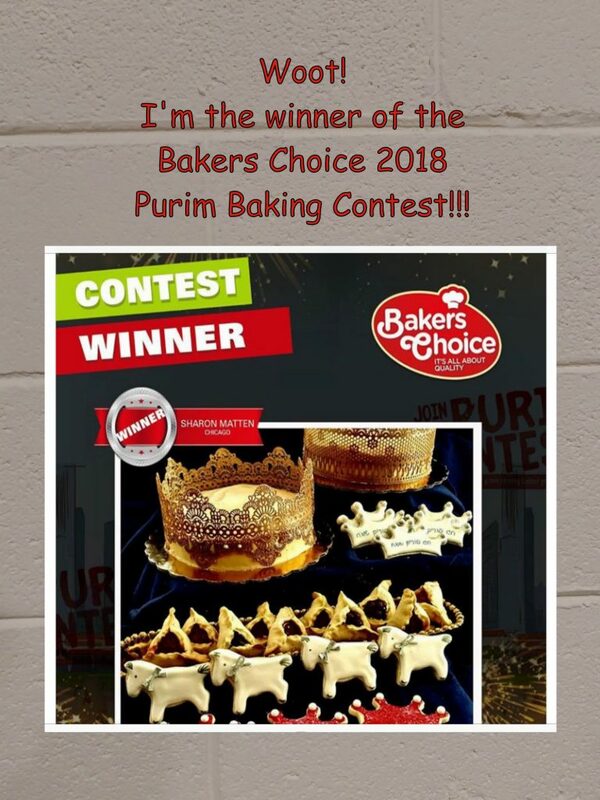 I spend a lot of time speaking to these fabulous young ladies about healthy eating (they still clear all the snacks in the house on Shabbat) and balanced nutrition. It’s ok to eat! For my own two darling girls (and Dear Husband) I try to serve fish several times a week. Youngest Dear Daughter is a pescatarian (I debated about making you suffer through actually looking it up. It‘s basically someone who doesn’t eat meat or poultry but will eat everything else especially strawberries and zucchini). 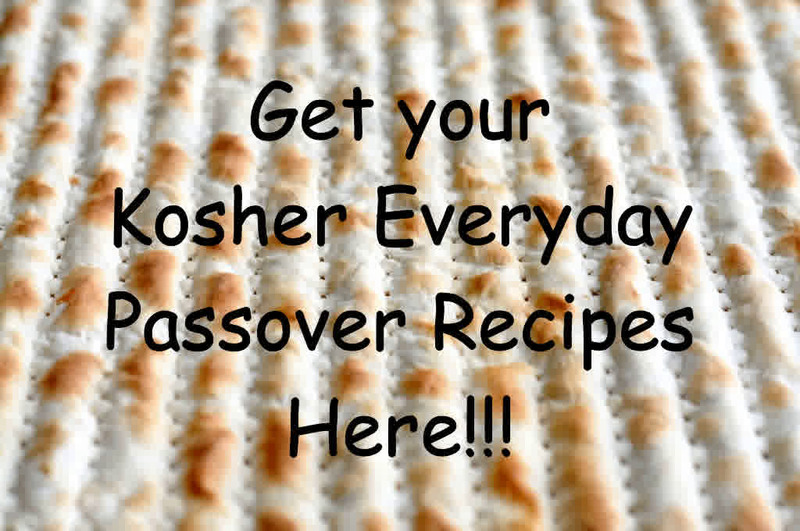 I’m always looking for ways to get healthy fats and proteins into her – and the rest of us. I came up with the following recipe while I was exercising this week, and watching “The Chew” on the big TV screens at the gym. They were making a version of Lemon Pepper Chicken using fresh lemons. I knew I had to use my pink lemons – I was inspired! 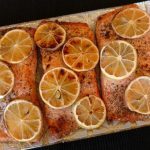 But…because of the pescatarian in the house, I had to make the recipe with fish, and different lemons, and completely different ingredients – but it was basically the same thing. Oh, and to add to the fun, I used PINK HIMALAYAN SALT! Can you say “Pink Lemon pepper Salmon”? 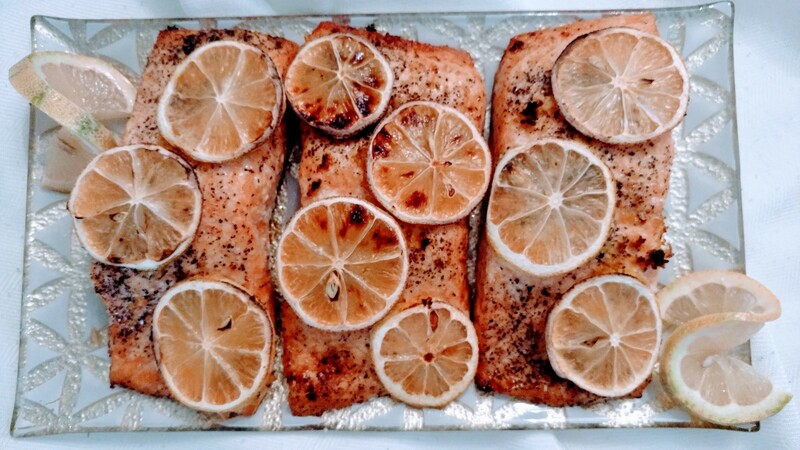 I used the coarse pepper from Passover (SO excellent), and laid those gorgeous slices of pink lemon over the top of the fish…so beautiful I could simply cry. Served it with wonderful chopped romaine and french fries (for everyone else). What? Potatoes are healthy…right? It was a veritable rousing success. If you can’t find pink lemons (You can actually order them online) you can substitute the boring old yellow ones. ZZZZZZZZZZZZZZZ. The fish will still be tasty…but not NEARLY AS MUCH FUN!!! Fabulous Pink Lemons and Pink Himalayan salt make this salmon delicious and FUN!! Preheat oven broiler to medium heat (I use medium convection broil). 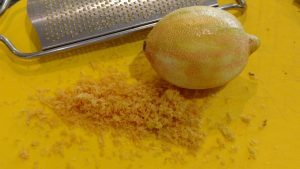 Slice the lemons into very thin slices. Set aside. Spay a baking sheet with olive oil spray, then place the salmon pieces on the prepared baking sheet. 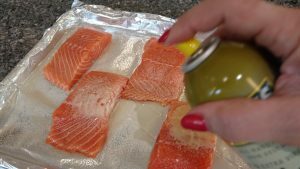 Spray or brush the salmon with olive oil. 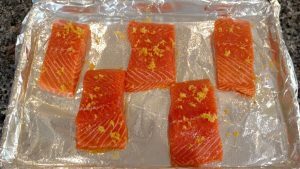 Sprinkle the salmon pieces with salt, pepper, and lemon zest. 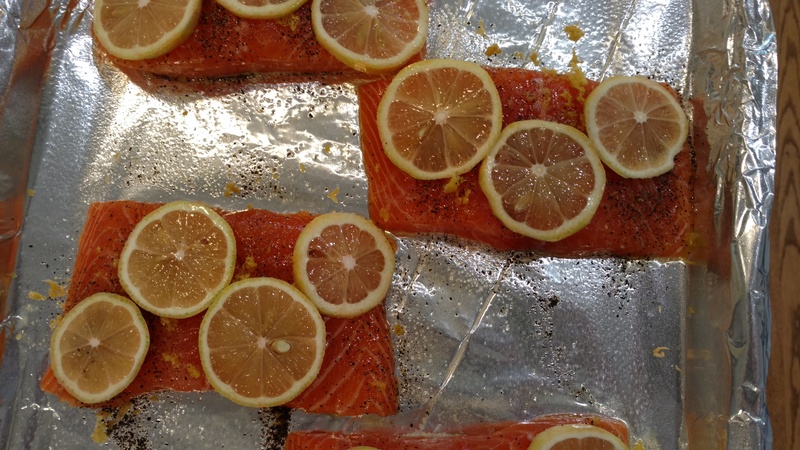 Arrange the lemon slices on top of the salmon slices. 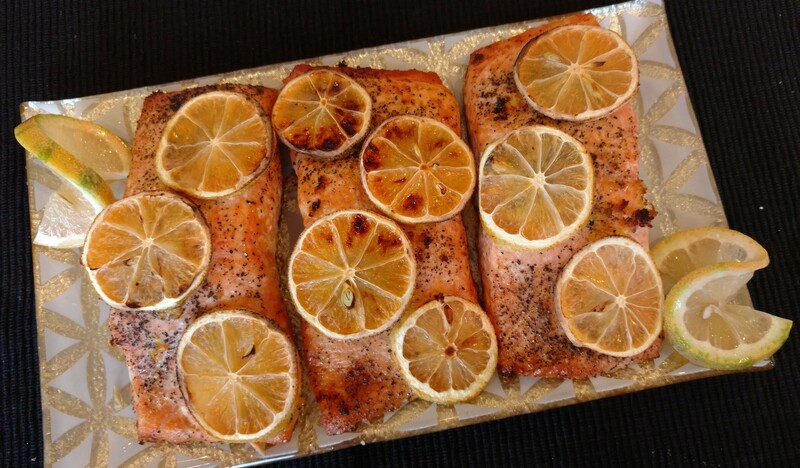 Squeeze the juice from any remaining lemon slices on the salmon. 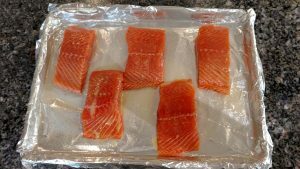 Broil the salmon for 20 minutes or until completely cooked through. 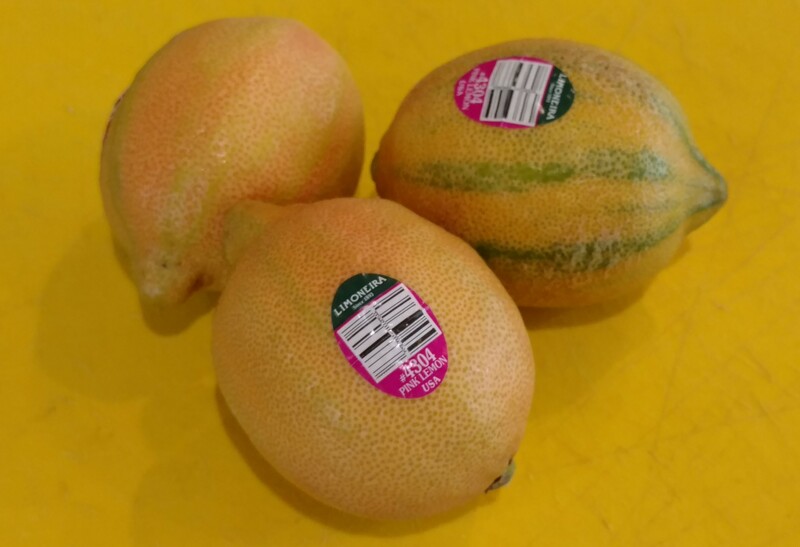 If you aren't able to find pink lemons in your local grocery, produce, or online store, you can substitute yellow lemons. I’m back to exercising (and then not exercising because I can’t move the next day…can you say “Out of shape”?) and hopefully by August, Dear Son and Future Daughter in Law’s wedding, I’ll be fit enough to dance up a storm. They say that Venezuelan weddings go until the next morning…I’m working up to it. So…to keep me motivated and on target I’m setting up goals with the My Fitness Pal app. I’m counting on all of you to help keep me revved up! For every goal I hit I’m going to do a healthy giveaway. When I lose you win!!! Fun, right? 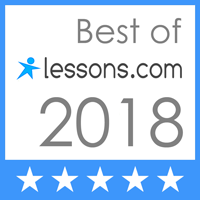 Feel free to post some words of encouragement in the comments. I’m doing this the healthy way, don’t worry, healthy eating, exercise and copious amounts of chocolate. Just wanted to make sure you were paying attention….. Wish me luck! When I lose you win!!!! Spray or brush the salmon with extra virgin olive oil. 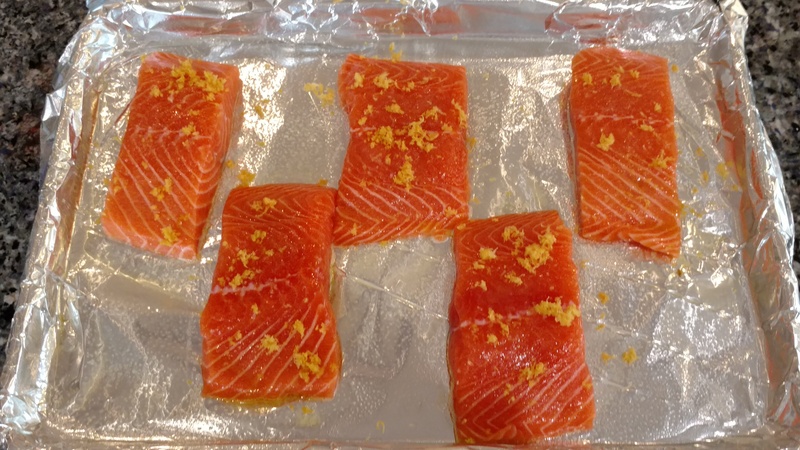 Sprinkle the fish with coarse black pepper and the lemon zest. Then squeeze the remaining lemon juice over the fish. Top with thin slices of pretty pink lemon. 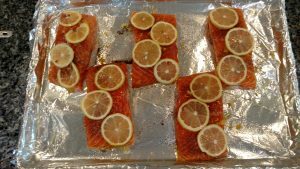 Artistically posed Pink Lemon Pepper Salmon – Smile!! !